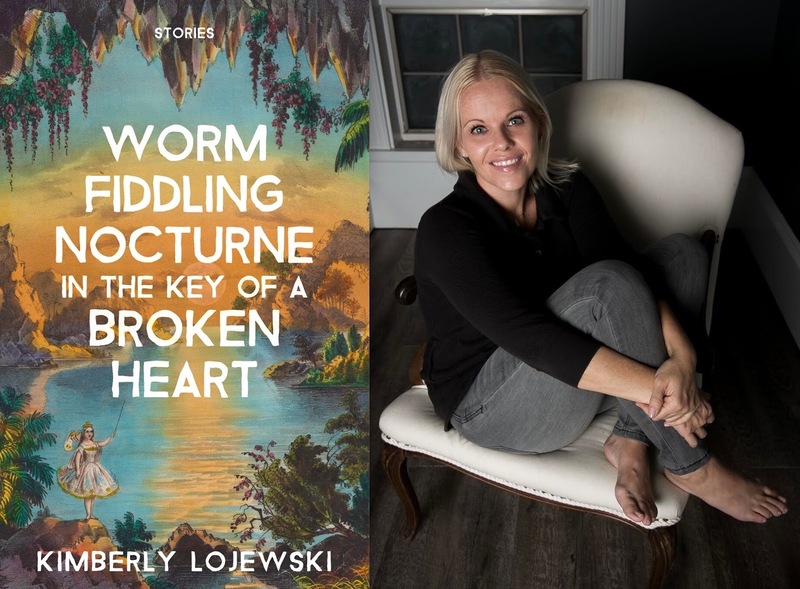 In the 21st in a series of posts from authors of 2018 books entered for The Story Prize, Kimberly Lojewski, author of Worm Fiddling Nocturne in the Key of a Broken Heart (Burrow Press), learns from her own experience. I’m writing to let you know that we’ve finally published our first book! You always believed that it would happen. You persevered and it did. Your very first story collection. You are not twenty-three like you planned. But forty years is not so old. You’re still in the game. You are only, like, twenty-two years behind Mary Shelley. Things to keep in mind over the next few decades… no, whiskey does not make you write better. No, obsessively visiting the haunts of dead writers will not imbue you with some magical writing powers. Nope. Crystals won’t work either. Nor will spiritual pilgrimages, or hot air balloons, or playing guitar in the moonlight. You’re going to have to actually write. I know, I know. It’s not what you were imagining. You will have to make your peace with the editing process, young buck. There is literally no way around that part. Believe me, you’ve tried. They just won’t publish your stuff without it. MFAs are a good time, full of well-learned folk and lots of talking about writing, but you will have to pay back all of those student loans one day. You really will. I’m serious. Can you please find an adult to explain the risk v. reward system to you? And maybe not buy that eleventh pair of boots, like you’re just spending monopoly money? On the subject of every boyfriend you’re going to have, they will never “love you the way dry roots love rain.” Stop. Just stop reading so much Carl Sandburg and ee cummings. Put the Wuthering Heights down. And when you get to college, don’t start reading Bukowski. He’ll only give you a predilection for snarky drunks who cheat on you. Eesh. And the bad news is that even though I’ve kept pretty much all of your juvenile writings and journals… they aren’t quite as deep or probing as we once believed. Just a lot of obsessing over boys really. I hate to break it to you, but they will probably never be published posthumously. Your novel about a girl named Dew Rain who runs away to join the medieval festival. You will never finish it, but you will run away to join the medieval festival and be rudely awakened to the fact that those people are carnies with fake British accents. You’re thinly veiled copycat series of Sweet Valley High called Sweetwater Valley featuring brunette twins named April and Delilah. I know it seems like a foolproof plan, but the original wasn’t very good to begin with. Besides, Sweet Valley High fizzles out sometime in the nineties. Also, the one about the teenager who falls through a portal into Ireland? That never takes off either. Yah, I know you really want to write some leprechaun dialogue, but it turns out magic portals aren’t considered a legitimate plot device. I know. I can hardly believe it either. Lastly, there may come a time when you have a psychotic reaction to Nyquil and decide to write your entire memoirs in a three-day stretch and then send them out to everyone you know. Scrap that idea. Totally scrap it. Stay away from the Nyquil completely. If you get bronchitis, go straight to the hospital. And throw your laptop out the window. Aside from that, buckle up and love and hate the next twenty odd years. You’ve got lots of living to do. For now, just know that you’ll get around to the writing one day.